Karachi—Provincial minister health Jam Mehtab Hussain Dahar has said that Sindh government has taken concrete steps to counter the on-going heat wave and the more to come in June as well. This he said while presiding over a meeting in Sindh secretariat here. All DHOs of Karachi, Medical Superintendents of public sector hospitals, Commissioner Karachi, KMC officers and others also attended the meeting. The commissioner Karachi briefly briefed the health minister about the measures taken by the administration to save people from severe heat waves. Expressing his satisfaction on overall progress, the provincial minister health directed them to keep a vigilant eye on these measures and form monitoring and vigilance teams to make them effective round the clock so that no mishap might be taken place. 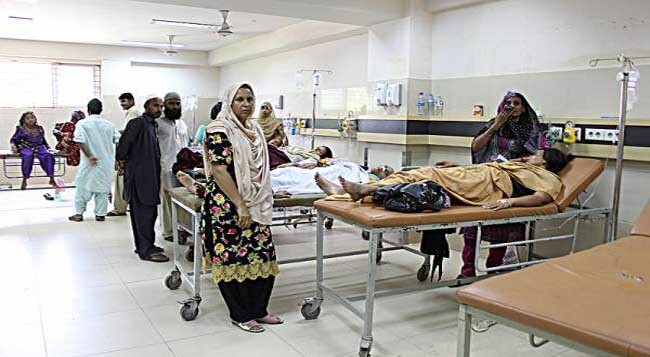 He also directed to establish tents at certain points in Karachi especially in Ramazan and availability of water and wet towels to be ensured there to soothe the heatstroke affected patients. Dahar also directed MSs to be ready for emergency situation and arrange extra beds, Wheel chairs, medical staff, medicines and water for heatstroke patients and erect shades on open place for patients. The medical superintendents informed the health minister that they had already taken such steps and would try to improve the facilities.